What are scars and how can embrace® help? Following an injury or incision, the healing process begins — triggering the formation of scars. Occurs approximately 1 week to 30 days after surgery, when reparative cells gather at the incision, creating the structure on which future scar tissue will grow. It is perhaps the most vulnerable phase of scar formation. Cells divide rapidly to produce collagen, which fills gaps made by the incision, and worsened by everyday movement and other stresses on the wound. It’s the time of greatest scar tissue growth, occuring until about 45 days after surgery. The critical end-phase of tissue healing, when the wound closes and fills with dry scar tissue. Gaps caused by tension on the skin may continue to be filled by collagen, leading to wider, thicker, darker scars, setting the stage for complete healing that may take up to a year. Note: Phases of wound healing occur with considerable overlapping, and substantial variation between locations and types of wounds. Hypertophic scars are typically raised, thickened and widened areas where collagen has collected over a repaired incision or healing wound. 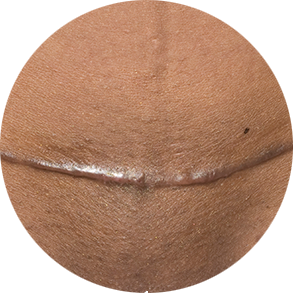 Using embrace® to stabilize and hold the incision closed while reducing tension early in the development of hypertophic scars can greatly reduce the amount of collagen that forms, and minimize the widened and thickened appearance of a scar before it ever develops. 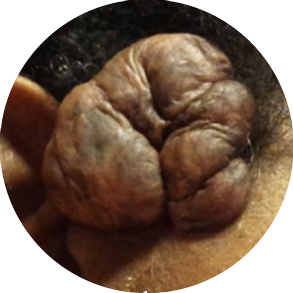 Keloid scars are raised scars that form when excessive amounts of cells collect and create a raised growth. These continue to grow and may extend beyond the boundaries of the wound or healing incision. Studies have shown that by controlling the healing site, embrace can help lead to reduced keloid formation during the healing process. The only clinically proven therapy shown in multiple clinical trials to prevent scar tissue formation by reducing the tension that causes scars.